BEFORE YOU REPLACE IT…LET US RESTORE IT. SAVE UP TO 80% OVER CARPET REPLACEMENT WITH COLORFUL TOUCH CARPET AND RUG DYEING. Carpets are frequently replaced for reasons other than wear. Maybe you want the change the color, or the carpet has color loss, sun fading, bleach spots, or maybe it has been improperly cleaned. When carpet is not worn but has a ugly appearance, we call this “uglying out”. Most people will replace the carpet because they think it is the only option. But what if there was a way to get many more years out of your carpet and save you thousands of dollars? Did you know that many “permanent” stains can be fixed with advanced stain removal and carpet dyeing? Can My Carpets Be Dyed? Many carpets are dyed at the mill and sometimes accidentally by spilled red juice, red wine and other natural and artificial colors. If you carpet has suffered some type of color loss then it can likely be fixed by a color specialist. If your carpet is nylon or wool then it can be dyed. Olefin and polyester which tend to be lower quality carpets are not candidates for carpet dyeing. To see if your carpet or rug is a good candidate for color correction, call Colorful Touch Carpet and Rug Dyeing at 717-848-2064. Restore carpet to it’s original color (carpet can lose up to 3% of its color per year). Change color to a preferred shade or cover over excessive staining. Fix bleach spots and color loss from other chemicals and home spotters. Repair color loss from pet stains. Custom dyeing for design and interior decorating. Persian & Oriental rug color restoration. Correct side match carpet color shading on new installations. Americans throw away over 5 billion pounds of carpet per year. 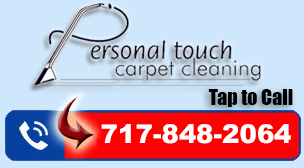 Often times the carpet is discarded because it has become dull, dingy, and stained. Carpet dyeing can save you from early carpet replacement. Commercial carpet settings frequently replace their carpet because it becomes important to maintain a certain look. Colorful Touch “color rejuvenation process” can double the life of your commercial and residential carpet, protecting our environment and saving you thousands. Who Can Benefit From Carpet Dyeing?